The Ricoh GR III is on display at Photokina 2018, and we've been hands-on with the latest advanced compact to be added to the range. 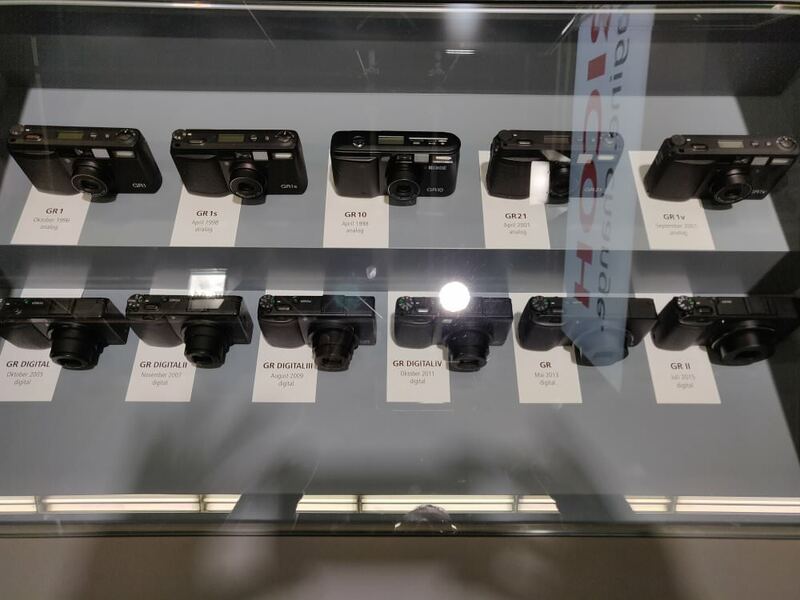 Ricoh have a cabinet at the show with all the previous incarnations of the GR camera, so you can see how the range has evolved over time. The first GR camera is now over 20 years old! The GR III features a new 24 megapixel APS-C CMOS sensor, as well as a new image engine allowing it to capture FullHD video with a 28mm equivalent lens. It is set to be available in early 2019. See our news story for more details.